Ben says “Like motor sport Ragus is extremely good at prototyping. We turn an idea, an innovation, a concept into a working prototype in a very short period of time. Our competitors are based around volume production rather than individual batch processing. This is something the British excel at and this is a parallel with the motorsport industry where 4,500 companies have a turnover of £6 Billion to the UK economy. If you want a product formulated quickly, relatively cheaply and to a very high quality standard, Ragus is the specialist, food companies and other industries turn to”. 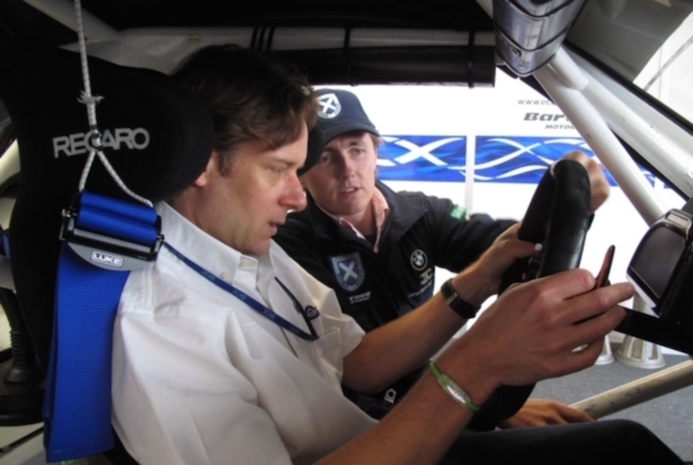 Ben Eastick behind the wheel of the Ecurie Ecosse GT3.